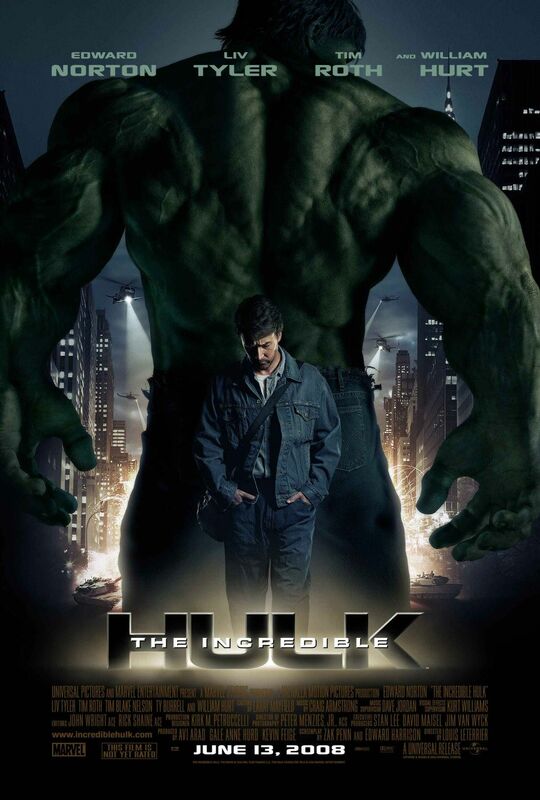 Chrichton's World: Review The Incredible Hulk (2008): Might not be as incredible as it should have been but still solid entry in the MCU franchise! Review The Incredible Hulk (2008): Might not be as incredible as it should have been but still solid entry in the MCU franchise! There was no doubt in my mind that I wanted to watch this in the cinema when it was released so I did. And I loved every minute of it. But even back then I felt it was a little underwhelming. Now finally having watched it again properly I was able to enjoy it. Maybe even appreciate the little nods and references to television show and other comic book characters. But still can't shake this feeling that more could have been done. I don't even mean story wise. It is very much a Dr. Banner versus Hulk plot where Banner tries to do whatever he can to get rid of his green alter ego while at the same time we'd rather see Hulk smash. And right there is the problem I have with this film and Ang Lee's one. We never get to see the incredible in Incredible Hulk. Just glimpses of it and just when you are strapped on for more the action ends. The Incredible Hulk is all about Dr. Banner learning to accept to live with The Hulk while Emil Blonsky has no trouble becoming the monster. Banner and Blonsky couldn't be more different and of course this gets sorted in the final battle. I happen to be familiar with Emil Blonsky and who he is in the comics. And it was nice to see this film embrace that. Hulk versus The Abomination. The film also foreshadows this battle when Blonsky, an excellent Tim Roth, is called in for action. So after the required Hulk shenanigans we are just waiting for this big epic fight to happen. And when it finally does it's awesome for a few minutes but then it stops. The fight is over. Here we have two super powerful giants capable of immense destruction and the fight is over before you know it. If it weren't for Captain America: Civil War I would almost think that Hollywood is not capable of doing these kinds of battles right. So in my opinion they need to do a sequel or reboot for all I care and now have the whole film be the battle. Like show all the death, destruction and chaos while these giants battle it out for the sake of humanity. How epic it would be! Make it happen Hollywood. *I read that Marvel doesn't own the rights to make a standalone film yet. Read about it in this article. That is so freaking infuriating. Let us hope they will recover those specific rights soon.